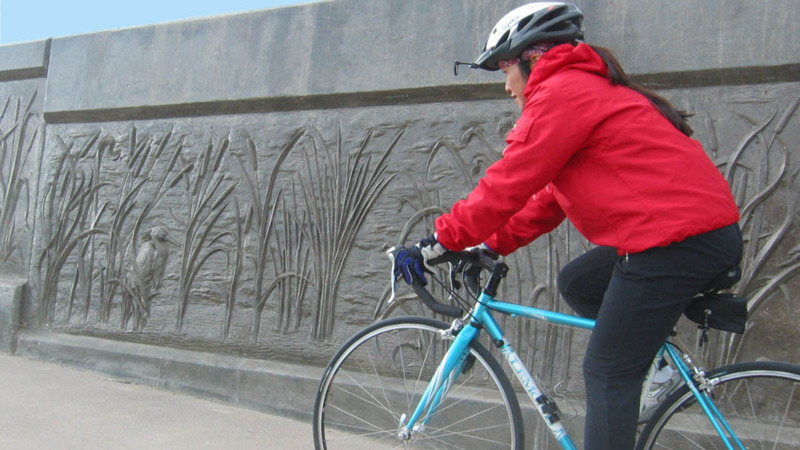 The Santa Clara Countywide Bicycle Plan’s primary goal is to make it easier and safer for people to bike when traveling from one city to the next in Santa Clara County. The plan establishes a network of Cross County Bikeway Corridors that will provide continuous, complete bike connections across the county. The plan also identifies locations where new and improved bicycle connections are needed across freeways, rail lines, and creeks. Lastly, the plan identifies ways to make it easier for people to use their bicycle with transit, including bicycle access to major transit stops, bicycle parking at stops, and bicycle accommodations on board. VTA will be presenting the Countywide Bicycle Plan Public Review Draft to the VTA BPAC on Wednesday, March 7, 2018. We invite you to attend and comment. Click for more information on the VTA BPAC. Why Update The Countywide Bicycle Plan Now? VTA has had a Countywide Bicycle Plan since 2000. The plan was most recently updated in 2008. Since then, we have seen advances in bicycle infrastructure design, advances in planning for bicyclists, and a cultural shift toward bicycling. More people and a greater diversity of people are interested in bicycling, and they want bikeways that are physically separated from cars. VTA now has the capacity to model how building new bikeways will affect travel patterns, congestion, and greenhouse gas emissions. In addition, the local jurisdictions in Santa Clara County have built many new miles of bicycle lanes and trails. It’s time to update the Countywide Bicycle Plan to reflect these changes. We provide funding to cities for building bicycle paths and bicycle lanes, we work with cities to build new bicycle bridges and better freeway interchanges, and we bring city staff together so bikeways are consistent across city boundaries. VTA also provides space for bicycles on our buses and light rail vehicles, and bicycle parking at our light rail stations. VTA would like to thank the 90 community members who joined us at our three public meetings in Gilroy on March 29, San Jose on March 30, and Cupertino on March 31, 2016. We also received over 800 comments on our online mapping tool. Thank you to those who took the time to provide your valuable feedback. A view-only version of the online mapping tool with all its comments, points, and lines will be made available here soon. View the PowerPoint presentation in English (or in Spanish) from three public workshops. View the public input we received from the online mapping survey we conducted in Spring 2016. November 2016: The VTA Board of Directors adopted the prioritization criteria for the Cross County Bicycle Corridors in November 2016. Click to view VTA BPAC meeting information. July 2017: Proposed 2017 Cross County Bicycle Corridors presentation to the VTA BPAC. February 2018 – Draft Countywide Bicycle Plan available for public review.